You may have read about Cavitation, Freeze Distillation, and other Sci-Fi ways beer brewing has developed over recent years, but what are our favourite Hong Kong breweries doing to make our local beer taste better? While we like to imagine our breweries as Willy Wonka style laboratories, exploring exciting and insane new ways to invent flavour combinations, the truth is a little less dramatic, in that recipe fundamentals haven’t changed all that much. The amount of tinkering that goes on is still impressive, but the number one concern for breweries, after settling on a tasty beer, is to ensure they can continue to make that tasty beer equally tasty in the future, and that the beer stays fresh as long as possible on the shelf. Most of the experimentation takes place during this part of the process, with brewers looking to level the playing field on variety and variables that can make a good beer bad. All Hong Kong breweries have at some point struggled with the available supply of hops and malt, fairly key ingredients in beer making. With ‘suspicions’ that Asia gets the leftovers of the best harvests (after the US, UK & Australia get their hands on it), getting the freshest, best quality hops is a task in itself. That’s why our breweries today tend to buy a whole lot (2 or 3 tons) of the good stuff in one large go. High quality harvests, kept properly, will beat hops that are actually more fresh (i.e recently harvested), but lower in quality. In order to maintain the consistency key in running a business, it’s also the best way forward for stability’s sake. The people behind the scenes in our local brew warehouses do sample each type of hop by simply rubbing it and smelling for distinct aromas. They’ll go as far as eating the malt too, guiding their imagination of what the final product might taste like. On creating new, seasonal and festive flavours, that’s right down to the experienced noses and tastes of the team, who will have a discussion on which hop & malt notes could compliment others, and more importantly, to look back on recipes and combinations from last year’s ‘experiments’ and ways to to improve them. In their search for the perfect malt, Young Masters for example have looked all the way from Germany to New Zealand, weighing up traditional techniques and approaches against the more promising yields made possible by malt from New Zealand, and for the closer access to Hong Kong. Keeping these valuable ingredients as fresh and useful as possible is a big aspect for breweries here, especially in the humidity and heat of Hong Kong, so how do they go about it? There are 3 main ingredients relevant to the quality of hops, α-acid, β-acid and oils. It is the α-acid (alpha acid) brewers are most concerned with, as hops begin to lose them as soon as they are harvested. Their quality also depends on the temperature stored at, but equally essential, how much the hops are exposed to air (really oxygen in the air). 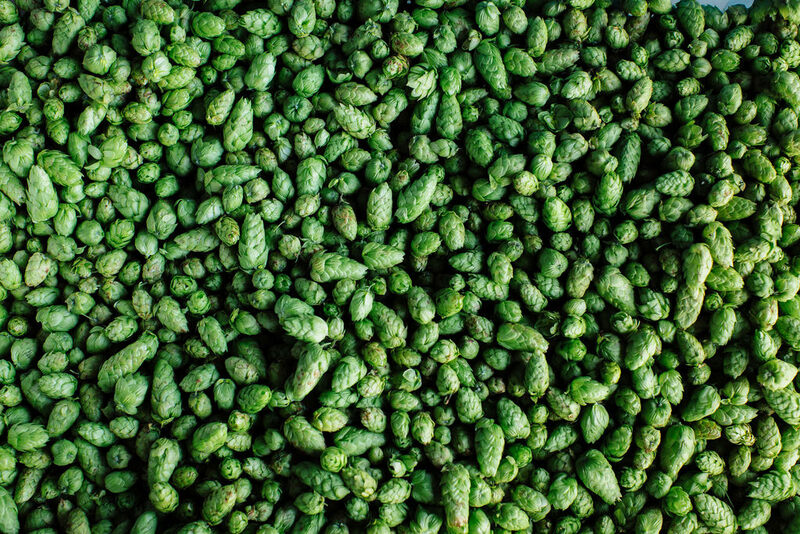 Oxygen is bad for α-acids, causing hops to lose their bitterness and flavour. By containing hops in bags purged with nitrogen, brewers hope to minimise the degradation from storage. All this is measured by way of the HSI, or Hop Storage Index, which tests the storability of the hops by measuring loss in the acids over a 6 month period. Stored well (optimum temperatures at –1 to -21 °C) , there should be less of a drop in the strength of aroma, bitterness and eventual quality in the beer. 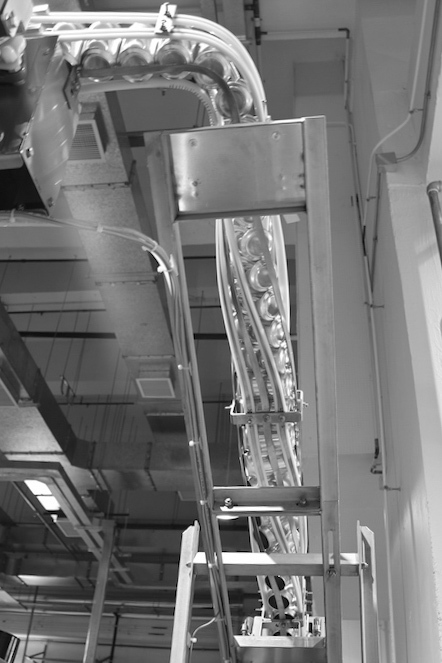 They have even been able to show that the loss rate is halved for every 15 °C drop in storage temperature. 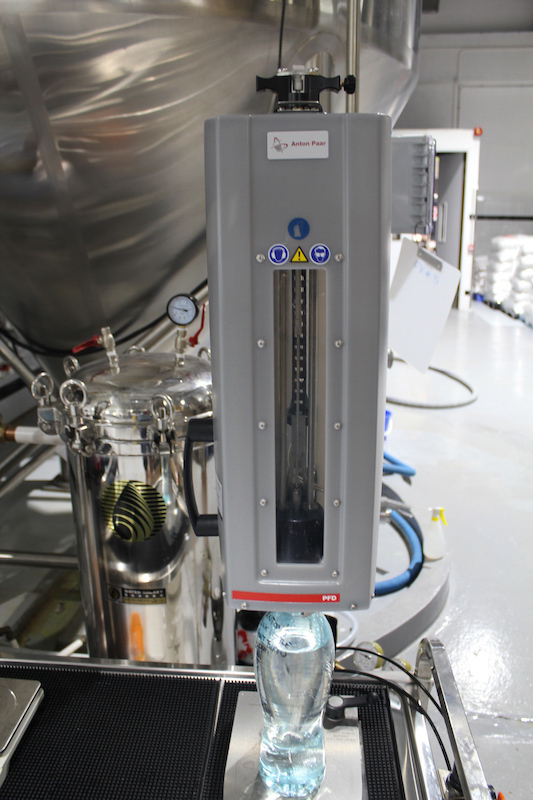 One increasingly popular concern is controlling the level of (DO) or dissolved oxygen in the beer. Several months after canning or bottling beer can become oxygenated, and will taste ‘off’. With a DO meter, breweries are able to measure how likely and quickly the beer will become oxygenated in the future, and can accordingly adjust levels to ensure all the tasty hop goodness, so vigorously worked for, does not go to waste. Yeast count can also be calculated to a degree where the brewers can rely on a consistent growth rate. Managing yeast levels allows for a more accurate control over fermentation, and they can continue pitching the same amount while receiving the same results. 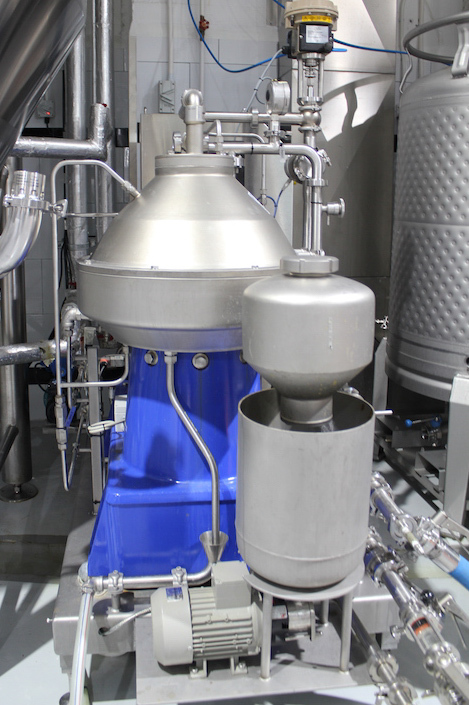 Controlling fermentation ultimately allows for control over the flavour of the beer. 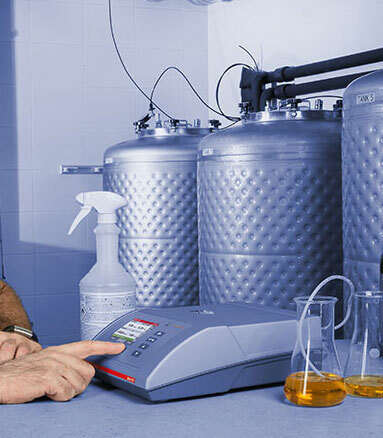 Young Masters were happy with their recent purchase of an Anton Paar Alcohol Extract Meter, which electronically measures the gravity, or density of alcohol present in the fermentation process. All this ensures that the % and ABV (alcohol by volume) that you see on the labels are as accurate as possible, something that has traditionally been very difficult to both measure and therefore keep consistent. Old hands at brewing will no doubt have come across pH levels of water as a large consideration, in both how the beer is processed and especially how different levels affect the final taste. What you may not know about Hong Kong, is that the water source supplied to our taps can change from time to time, from different reservoirs within Hong Kong, or even sources from beyond the border in China. All these variables can spell inconsistencies even after lengthy efforts to make the best beer, so this machine from Gweilo measures exactly what pH levels the brewery is dealing with on the day or week. Since some beers are more suited to certain levels of acid in the water, it’s fascinating to think that Shing Mun reservoir might be perfect for pilsner brewing, while High Island Reservoir could have the natural goodness suited for a stout! 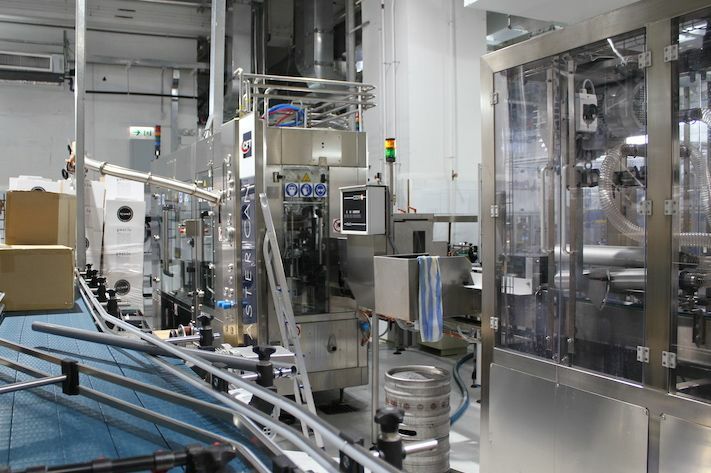 Investing in a fully customised, state of the art of CFT canning line, designed bespoke for the space in Gweilo’s warehouse, with cool tools down the line to clear dust & contaminants before filling, and an x-ray machine that automatically rejects any can filled with unacceptable quantities, they have ensured a higher level of consistency and quality for their beer. Most importantly, the canning line has reduced DO levels down during the packaging, where Gweilo used to have 400 parts per billion in their bottles, they have now reduced levels down to single digits (per billion) in their canned core range. Black Kite used to dry hop by releasing CO2 from their fermenter and adding the hops directly into the top of the tank. Mixing was simply by natural convection in the tank, and it would take 4-7 days until they were able to taste the extra hops. Because CO2 is released, more CO2 has to be added to get the right carbonation as well. The brewery introduced Hop Cannons, and while not that new in the industry, aids in adding hops to the filter, then purging everything with CO2. 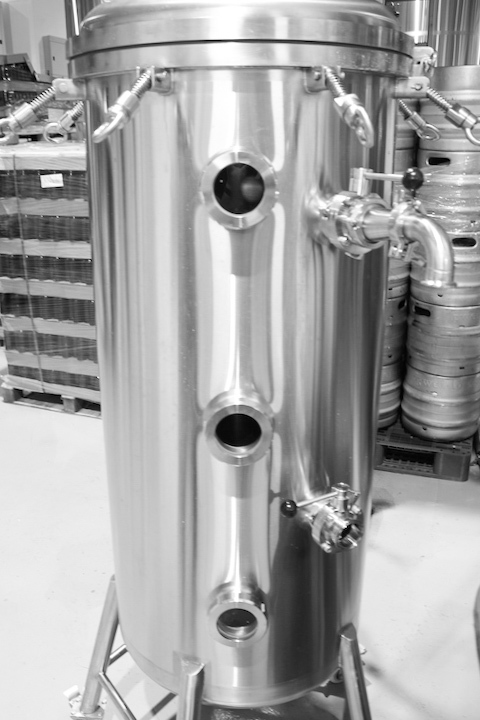 After connecting it to the fermenter and circulating beer through the filter, it only takes 4 hours to reach a more flavourful beer than if it had days in the tank. The process also saves CO2, which is expensive in Hong Kong, and they get more utilisation from the dry hops. It takes a bit of extra effort to clean before and after, but it’s worth it. Most Hong Kong breweries will have a hop cannon, as it has really been the cornerstone of the US style of brewing hop forward beers, instead of the long drawn out methods traditionally used in the UK. They help by rapidly injecting the hoppiness we see in modern beers on the shelves today, and a good many DIPAs and DDHs you’ve enjoyed will have been processed through one of these. Gweilo’s centrifuge has been a revelation in maintaining optimal beer quality prior to packaging. The centrifuge works as a filter by spinning the beer at a high speed, and depending on the settings will change a body of the beer. Lower spin speeds result in a hazy brew, for really nailing down those NEIPAs for example, and while different textures of a beer can be attained, the real beauty of the machine is that it filters without adding oxygen to the beer (unlike a traditional filter), meaning lower levels of DO and a fresher beer for longer. It may sound like a sensible option to filter water before brewing, but with regular testing done by breweries through US accredited reports, installing a water filter would actually be more wasteful. Instead of rejecting water, breweries can simply add lactic acid to level the pH. Most of the water in Hong Kong tends to be on the soft side, meaning fewer natural minerals, but depending on who you ask, that makes for a better beer! Some breweries are looking into creating their own nitrogen, in order to reduce the amount of CO2 used in brewing. It would save costs and the environment with fewer deliveries necessary. 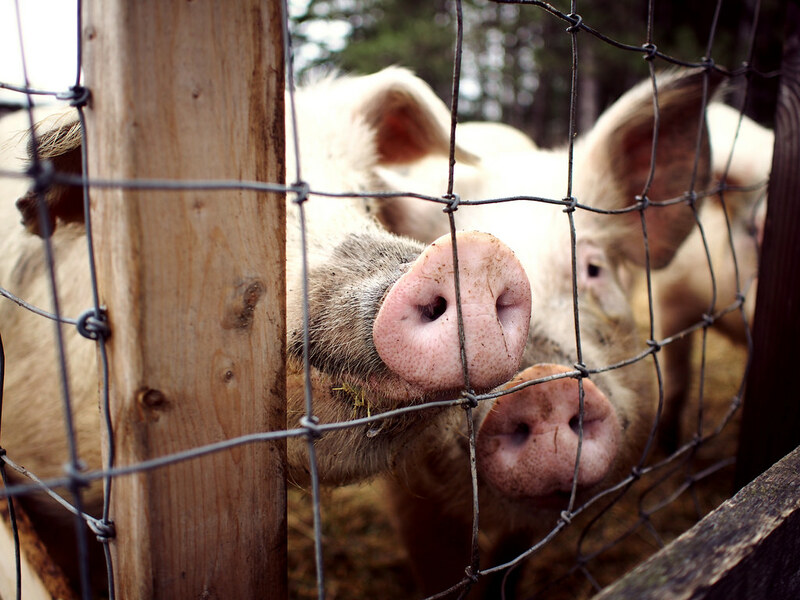 One great solution for reducing waste is to hand over the leftover malt and mash to be used as a food source of pigs on farms. Unfortunately, it has yet to take hold in Hong Kong (which has a lot less farms than it once had) as the malt gets too hot in most HK weather, and would actually be somewhat dangerous for our little piggies. It is this kind of approach however, that creates a better environment for all, and that beer companies in HK, most small start-ups, are looking to the Hong Kong government for help in reducing their carbon footprint. Has Hong Kong Craft Beer Experienced A Rise of 'Tickers'? How Much Gin Was On The Gin Drinkers Line? I delcare that I am over 18 years old.